Need a regular practice space one or more times a week? Our facility will meet your needs. You can book practice space in one hour increments with or without instructors to help you. Space during or immediately after school hours, or on the weekends, depending on availability. 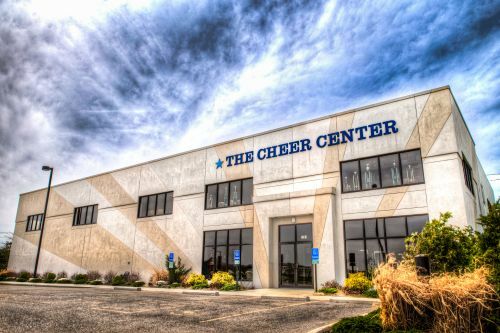 We are proud of our beautiful facility at 1761 Gateway Circle in Grove City, Ohio. As we enter our 22nd season, we are excited to offer one of the best facilities in the Central Ohio Area. We are easily accessible from anywhere in central Ohio. We are located at the junction of Interstate 270 & 71, just off the Stringtown Rd. Exit. 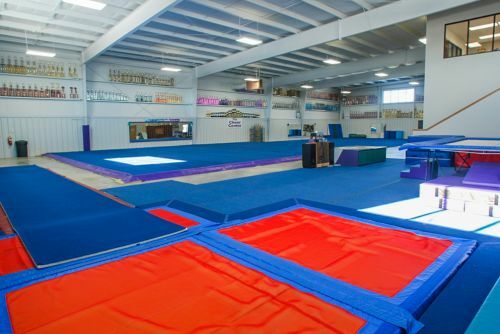 30 ft. inground Tumble Trak with an L-shaped inground pit also accessed from a tumble strip.